The album title reminds of an old Megadeth classic, but Ramjet from Denmark have nothing in common with these metal veterans. 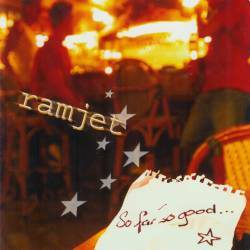 Instead of brutal metal riffs, Ramjet, formed in 1997, prefer relax and calming ska vibes. They started as a classic Jamaican influenced ska act, but after several years, they thought that this limited their music too much and decided to crossover ska with other musical influences. The result on the debut CD is quite impressive. Although ska music often risks becoming boring due to its repetitive structures, this cocktail of ska, pop, rock and swing makes it a really vital album. Catchy melodies, power, energy and the joy of playing make listening to it a pleasant experience. But not only is the songwriting excellent. An experienced singer and rich instrumentation (bass, drums, guitar, trumpet, and trombone) also mark a major contribution to the success. Most songs on the record are fun pop ska tunes inviting to party. You can compare Ramjet to a harder version of Reel Big Fish or a more mature version of the Busters. Songs like Dial Me, What Conscience, Friends and especially Sugar Coated Devil have all it takes to become hits. My Bird for instance shows that Ramjet are not afraid of using harder elements in their music while I Feel Fine is a purer ska song. Ramjet is definitely a band that is able to put some new life into the ska movement which lately has entered a dead end street.